Chase was born and raised in Logan, Utah. He accepted a scholarship at age 14 to attend the Middlesex School in Concord, Massachusetts. Upon graduation, he attended Harvard College and later Harvard Medical School. During his training as an Internal Medicine Resident at Yale, he served two years in the U.S. Army Medical Corps in Frankfurt, Germany. Upon completion of his medical training, he joined the Salt Lake Clinic in Salt Lake City. After five years he was asked to return to Harvard College as Dean of Admissions. It seemed an unlikely professional move, but he decided to take the job, thinking of it as a sabbatical from medicine. He stayed at Harvard for eleven years. After five years as Dean, he was made Vice President for Development by Harvard President Derek Bok. Chase returned to Utah in 1978 as Vice President of Health Sciences at the University of Utah. In 1983, he was made President of the University of Utah, where he served until 1991. 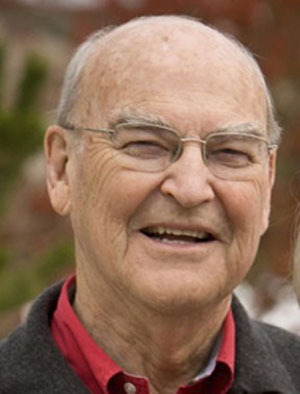 Upon his retirement from the university presidency, Chase took a year to renew his medical credentials and then practiced and taught in the Department of Family and Preventive Medicine at the U. until he passed away in September 2014. In addition to the Utah Citizens’ Counsel, he donated his time to the 4th Street Clinic, the Utah Symphony and Opera, the Board of the Moran Eye Institute, and the University’s School of Nursing.